Children, Behavioral Issues, and Candida - YeastInfection.Org by Eric Bakker N.D. Although many different situations have been considered when looking at children and behavioral issues one in particular has been reviewed time and time again – that of gut dysbiosis. Broadly speaking this means disharmony of the microflora of the gut, and of course, a possible overgrowth of Candida. Children who are now referred to as being on the autism spectrum have long since been considered to have disharmony of the gut microflora. In fact, back in the 1980s Dr William Crook, the noted authority on yeast overgrowth, strongly suggested that dysbiosis underpinned many behavioral problems in children and his hypothesis is now being proven by an increasing number of studies. I have also written a comprehensive piece on how your gut can keep you happy which you can read here. Whether you are talking about hyperactivity or learning disorders, it would seem that gut dysbiosis is strongly implicated in many children. And, surprisingly enough, when it comes to what we would consider to be psychiatric issues and disharmony of the gut microflora, then this theory goes back even further than Dr Crook. Even at the beginning of the 20th century there were many who believed that gut dysbiosis, then termed autointoxication, could negatively influence mental status. Autointoxication however is not limited to an overgrowth of gut microflora but also refers to the fact that this overgrowth could damage the intestinal wall and subsequently allow particles through which would result in the behavioral changes. Today we refer to this intestinal wall damage as leaky gut syndrome. Because Candida is known to be not only opportunistic, but also to release certain toxins either from an overgrowth of the yeast or when it dies, then it takes only a small leap of the imagination to consider the influence such an overgrowth can have on the behavior of children, which is what Dr Crook considered. For several decades now it has been noted that the behavior of children, particularly those who are hyperactive, can be moderated by changes in the diet. Yet for long enough although it was considered that additives and chemicals placed in food were directly responsible for negative behaviors, it would seem that although they may not be wholly responsible for the changes directly, but also that they may be indirectly responsible. This is because they can alter gut microflora, and in the case of Candida, encourage the overgrowth. This is possibly why, when parents change the diet of such children they see improvements in behavior. Of course this is only going part-way to providing a solution because only one aspect of a diet has been amended. When it comes to treating an overgrowth and Candida in particular, then a more stringent dietary regimen, together with lifestyle changes, needs to be made. Unfortunately what happens more often is that because behavioral issues are not resolved completely, a child is often diagnosed with some level of autistic disorder and is prescribed medications such as Ritalin, which, it would seem, is unnecessary. Often behavioral changes in children can be traced back to other medical treatments and particularly antibiotics. Many childhood ailments such as throat or ear infections are treated with these drugs yet we now know that antibiotics are one of the main causes of gut dysbiosis. This is because the situation with antibiotics is, unfortunately, no different in children than it is in adults. The antibiotics kill bacteria indiscriminately, the good as well as the bad, and this creates an imbalance which allows opportunistic organisms, such as Candida, to take hold. The problem is accentuated because, as we have so recently learned, the organisms often live together in biofilms which not only protect the microflora inside but also allow them to build up resistance to antibiotic attack. The end result then really should come as no surprise – that there is a direct correlation between the increased use of antibiotics and the increasing number of children being diagnosed with autistic spectrum disorders – if the influences of gut dysbiosis are taken as being a causative factor. Although many concerned parents have gone part-way to reducing the problems by restricting chemicals from the diets of affected children, this is by no means a solution to the full problem. What I would encourage parents to do if they have a child with behavioral issues is to first get the child checked out for a Candida overgrowth and then embark on a lifestyle and dietary program much as the one designed for adults. When it comes to exercise, of course with children this often proves to be much easier to implement since children are more inclined to physical exertion as part of their play routines. However dietary changes can be more difficult since they, and their parents, are subjected to continual marketing campaigns for products which are simply not conducive to better health and restoring the balance of gut microflora. What you can do is to gradually introduce more healthy meals to the diet. You can also substitute sodas, which are loaded with sugars and which Candida love, with home-made versions using fresh fruits. Parents can also limit the amount of candies and other sweet stuff from the diet and exchange such things for fruits – but only ones which the children actually like eating. It’s of no use whatsoever telling a child they cannot have their favorite ice-cream but they can eat an apple – if they hate apples. Is Alcohol Consumption Connected to Candida? The sad fact is that it may take science many years, if not decades, to actually substantiate that dysbiosis is at the root of childhood behavioral issues because that is the way science works. For many people that result may come far too late and, because the treatment involves no aggressive drugs, patients often find the only course of action is to see if it works for their child – now. 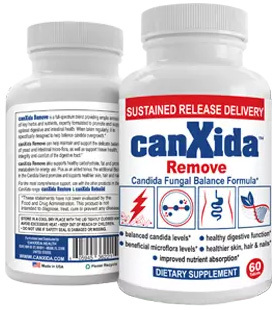 How long does is take to clear a severe case of candida. Are you looking at months or years. It took me five years to clear my body of systemic candida. I have suffered mentally and physically since early childhood. I believe a food intolerance caused candida to leave my gut and colonize the rest of my body. I was treated over a dozen times with antibiotics and was hyperactive as a child. Entering my teenage years, I became extremely depressed and was very skinny. I feel like I have just woken up from a very bad dream. I feel my life has been robbed from me. A child isn’t able to understand these things at a young age. At only twenty-nine, I feel my life is lost. I have too many bad memories! Does Your Child Have a Diaper Yeast Infection?